Pandora still out of the box? My first and still favorite music recommender system, Pandora has been struggling to survive and has had several near death experiences over the past 10 years. So I’ve been delighted to see a flurry of reports in the past few weeks about how things have recently changed for the better for Pandora. See the list at the end of this post for several of these recent reports. Perhaps what I found even more valuable was the larger lessons which emerge from the Pandora story such as how to survive by being agile and adaptive and how perseverance, both on the part of both the founder and CEO Tim Wetergren and all the many employees who stayed with him through the troubled times and in many cases going years without paychecks, really does win out. Pandora was one of the first tangible examples Erik Duval and I seized upon and used when showing others what The Snowflake Effect looked like and proof that it was possible. Pandora truly lived up to its mythical name and let the Snowflake Effect genie out of the box for good for Erik and I. While I continue to watch and experiment with many other music recommender systems such as Last.fm, Slacker, and Spotify, I’ve always found that Pandora does the best job of helping me find just the right songs at just the right time, which is at the heart of the premise and the promise of the mass customization and personalization of The Snowflake Effect. Others prefer to find music based on the tastes of others by adding and mining data from social networks to their tools, but for me I’m looking for music that matches my tastes, moods and context and Pandora, with its Music Genome Project database containing intricate details of each song, seems to do do this best. * See “The Song Decoders” NYT article for an interesting insight into the people doing this work. Music is but one of the almost infinite areas where we are seeing the transformation from a culture of mass production to one of mass customization and personalization. Experiencing the difference between finding songs and artists via a service such as Pandora compared to something like Top 40 radio is one of the most compelling ways of seeing this transformation which will help you see just how powerful and how real this transformation is and will be. We are already seeing similar examples of how we can have similar “decision support” in finding the best books to read, sites to visit, people to talk to. If music recommender systems are new to you or it has been a while since you have tried them, I’d encourage you to check them out and see if they don’t help you find just the right songs, just for you, and in doing so give you a glimpse of the Snowflake Effect future before us. Hearing the Future? The YouTube Piano | Click and Play! What caught my eye (ear?) was not so much the on screen piano this provides but the clever use, or more correctly re-use and re-purposing of video and timelines. This piano example by itself is a bit of a novelty and one which wears of soon. However, start to imagine how you could use this for other applications? Think about a new level of interactivity that anyone can add to any of the increasing volume of video that is being posted and a new way of creating and re-using/re-purposing video content. Try using this on a touch enabled screen such as your iPhone or Android. Perhaps it helps to think of this along the lines of "scanning" rather than needing to recreate from scratch, to almost instantly capture that which already exists and use this as the raw components to create whatever YOU have in mind. As the fidelity of audio and video continues to increase the gap between real/original and simulated/recorded lessens to the point of being indistinguishable. Give this video piano example a try and see if you start to hear the future as you play? You wouldn’t expect anything less than eclectic from me or Off Course – On Target, so here is the latest addition to my “What if the Impossible Isn’t?” list. My mission is to have us all change our baseline assumption to be that almost anything is possible. The TED videos (and BoingBoing) are great sources of examples showing us how the impossible isn’t. WARNING: TED videos have proven to be addictive! TED has recently released the teaser of who we will be seeing and hearing from in the TED2010 program guide. For one example of what you can expect in 2010, check out the music and passion coming from a young ukulele player named Jake Shimabukuro. Yes, that’s right—a ukulele player! Think you don’t like the ukulele or know what “that kind of music” sounds like? Check out some of Jake's YouTube videos such as the one below and see this example of how “the impossible isn’t” as he literally makes those four little strings dance and sing. Best if you watch a few of these to see the diversity of sounds and songs from Thriller to Over the Rainbow to Let’s Dance. I picked out the following performance of George Harrison’s “While My Guitar Gently Weeps” which takes place by a stream in Central Park . Some of his concert performances are particularly worth watching to get more of a sense of the person behind the music (see below). Almost more than the music, I love the passion and the commitment to change the way we think of this instrument and perhaps music in general. Well worth a look and listen, though with the usual caveats and warnings that you are likely to spend more time there and learn more than you expect. And that’s part of the good news and the gift! Enjoy! I hope you've had a chance to check out the previous posting on "Musical Snowflakes" and try out Slacker and the just released Social.fm as examples of mass personalization and the Snowflake Effect in the world of music. 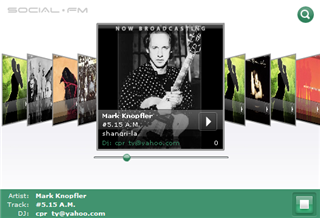 If not, or if you didn't notice at the time, when you do try out Social.fm, you can experiment with the new visualization interface model that is becoming more popular, and which is in some Apple applications, such as iTunes and the new Mac OS, Leopard, where it is known as "Cover Flow". As effective as it is simple, this technology restores the ability to flip through a stack of papers or albums and quickly stop at the one you are looking for or one that catches your eye. You'll quickly understand it after a few seconds on the Social.fm site. You can also run this short video about Cover Flow. CAUTION: Severe risk of time loss ahead! YouTube has also started to include a version of this visual "flip through" interface. After you've watched a video clip such as the one above, you get a horizontal band of other related videos along the bottom that you can flip through with your cursor, see some of the underlying metadata about the one you are hovering over, and then watch it with a click. Very slick! It's not only visually appealing, but it simply works well. And because the videos you are flipping through are all related to the one you just watched, see if you don't find yourself discovering many other unexpected things as you watch more and more. It is quite amazing how much you do discover and learn in the process. Tying this example back to music...if you have not already done so, try using YouTube itself as a music discovery site. I think you'll be amazed at how much new music and artists you discover. Right now, these are very simple implementations of visual interfaces, but they are examples of the continuing rise of visualization that is much needed within our human computer interactions. It's time to start planning for how you will take advantage of such visual interfaces as they become more commonly available for use with any kind of content within any application and on any OS. And imagine that the visuals will start to contain more information and have greater dynamic relationships between each item that you can see. An early example of this type of interface is shown in the Visual Thesaurus, demonstrated in the short video clip below. While you ponder all these new developments from the music world, keep in mind that music is simply one area we can look to for inspiration and examples that we can adopt and apply to our own context. While I believe that most everyone likes music, and will find value in these kinds of services, the real benefits (and the reason for my highlighting these music examples) are to encourage their adoption in other wildly divergent ways. These examples help us find and listen to music that is highly personalized to be "just right" for us. Now imagine having these same kinds of Snowflake Effect capabilities that help you find "just the right" content of any kind—from text to images to video and audio. What uses can YOU imagine? How will YOU use these as they become more and more prevalent and available? Be sure to share your thoughts and experiences with the rest of us. I look forward to hearing from you. The world of music continues to be one of the richest sources of examples for the Snowflake Effect, where mass personalization, mass customization, mass contribution are all available to try. The list of examples continues to grow exponentially. A "Do It Yourself/ Build Your Own" model calls for a radical redesign, and this is what most products and services will need to adopt if they expect to survive in the future. If you haven't tried using this aspect of mass personalization in the music services area, I'd recommend you check out the "Social Music Overview" page from TechCrunch for a list of options and a brief overview of each. Then, to best understand and evaluate the experience and the potential, you really need to try it yourself. See if you think that there is no turning back now. The genie is out of the bottle and there is no putting it back! The vector of mass personalization and the Snowflake Effect is inevitable and will become the expectation that we have for most products and services, because we now know it is possible—a great thing from my perspective. But let me know your reactions and experiences as well. Right now though, I'd like to bring a few of the newer developments and advancements from the world of music to your attention. My first example is Slacker, and contrary to its name (in many cultures the word "slacker" refers to someone who does not try or work very hard), this site is a real winner. It's currently my top pick for the Snowflake Effect as its applied to music. You'll find a good overview of Slacker in this PC Mag review. On TechCrunch, you'll see that the founders of Slacker (each of whom is an online music veteran) have very big ambitions indeed. In addition to their Web-based music service, which will compete with others such as Pandora, MOG, and Last.FM, Slacker is about to release (Dec 2007) a new portable player, which is reviewed here and is pictured on the left. 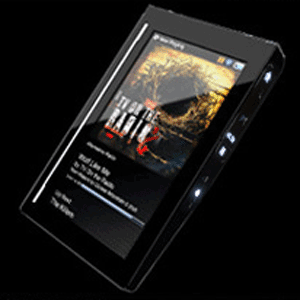 This new portable player is WiFi-enabled, so you can have music streamed right to it, and synch it with your desktop and music collection. They have also announced a satellite car kit so you can have this music wherever you are. One notable addition over most other music personalization services is that the desktop version of Slacker (Windows only for now unfortunately) enables you to incorporate your own music library in the mix. What most impressed me, however, was the well designed interface that enables new degrees of personalization. I'm referring to the overall human computer interface, not just the way it looks. Slacker is impressive and a significant improvement over other services. You can do as much or as little customization as you like quickly and easily. And no matter where you leave off in this customization, Slacker works to the maximum degree possible. For example, my former favorite, Pandora, requires that you provide constant feedback by indicating that you like or don't like each song. If you stop providing this feedback, then it stops playing after an hour or two. This is all very understandable since it can't continue to improve without some additional input, so it knows if the music is continuing to be just right for you at just that time or not. However, most of us are unwilling or unable to constantly provide this feedback for every song while it is playing—at least not by the current norm of manually clicking a thumbs up or thumbs down button or a 1-5 star rating. This method is too interruptive on a continuous basis. Slacker, in contrast to all the others I know, is set up to do the best it can with however much feedback you give it. Obviously the more you give, the more you get. However, that Slacker will continue to work very hard at playing music that is as personalized as possible to the information you've given it is a huge improvement. "To tweak your listening experience further, Slacker provides four ingenious fine-tuning options. Artist Discovery lets you control how much variety you'll get beyond the chosen artists (a lot, a little, or none at all), and Popularity determines whether you get "fringe" song selections, "hits," or something in between. The Favorites tool determines how often the selected station plays those songs you've tagged as favorites. Finally, there's Year, which narrows the selection to Classic, Older, Recent, or Current. (You can leave all these options set to Auto if you'd rather not get so specific.) Neither Last.fm nor Pandora offer anywhere near this kind of fine-tuning; the most you can do is vote yea or nay on the current song selection (which you can do in Slacker as well)." Want more examples of the richness of the music world? Check out the just released Social.fm, which is (as you might guess) a widget designed for music sharing within social networks, such as FaceBook. Read the Nov. 12th Webware review "Social.fm rolls out fancy looking Facebook app, DIY widgets for everyone else" for a good overview of this new service. In addition to a nicely integrated FaceBook version, Social.fm has also announced that they are working on integrating better with with Google's OpenSocial initiative. This is worth keeping an eye on IF and as OpenSocial creates a standard that enables interoperability for widgets across all applications and OS. This is still a long way off and somewhat of a long shot, but it's very much worth rooting for and following up on. So, are you Off Course from your usual thinking, and where you are looking? Most likely. But On Target? Even more likely! Enjoy your experiential learning and I'll be back soon with more. Recently I was honored with an invitation from Jim Spohrer to attend and present at the Frontiers in Service Conference on Friday, Oct. 5th, 2007 in San Francisco. Jim is the Director of Services Research at IBM's Almaden Research Center in San Jose, CA, and he has been a longtime colleague and inspiration. Our connection dates back to his days at Apple Computer in the late 80's when he was a DEST (Distinguished Engineer, Scientist, and Technologist) and program manager of learning technology projects in Apple's Advanced Technology Group (ATG). Many thanks to Jim for this opportunity. I met Jim back in the late 80's when he was leading the effort to create Apple's first online learning community and vision for anytime, anywhere e-learning and the Educational Object Exchange. Jim is also responsible for coming up with the whole idea behind WorldBoard. The WorldBoard idea came to Jim one day in 1996 when he was out hiking and saw an interesting plant that he wanted to know more about. He started to imagine the benefits of combining a new viewing system built into his eye glasses with digital photography, GPS, and location information, and a way to leave information at that location for the next hiker who asked the same question he had asked (remember this was 1996!). Eventually, he came to call this notion WorldBoard and there is now a whole group called the WorldBoard Forum working on this and related challenges. The site is very "click worthy"! Back in 2000 when I was creating "Into the Future: A vision paper" for the American Society of Technical Development ASTD and the US National Governor's Association (NGA), I used Jim's idea of the WorldBoard as an example of "augmented reality", whereas all that talk at the time was about virtual reality. Check out my paper for more details if you're interested. I can't believe it was "only" seven years ago! The Center for Excellence in Service (CES) is a nonprofit organization composed of individuals dedicated to service strategy and research. CES combines its unique perspective of customer point-of-view and an exploration of a variety of services (with a focus on information technology) in order to provide business leaders and academics with the latest knowledge in service research. CES also implements practical business objectives into its academic research, and this dynamic creates a partnership between the business world and academia." I was particularly attracted to the dual attributes of this event and organization: they represent an international R&D community and one focused on the future of services. Services is a big focus area of interest for me. I see a future where our current distinction between services and products will be blurred to the point of requiring a whole new vocabulary to describe the emerging new world where products are becoming more service-like and services are becoming more product-like. This same view is also discussed in some of my prior postings, such as New Perspectives: Third Wave, where I point out author Alvin Toffler's predictions from 40 years ago where he envisioned that we would see a blurring of the distinction between a consumer or a producer and his coining of the word "pro-sumer" to describe this. Similarly, I believe we are seeing more evidence of a parallel pattern of convergence between products and services. Furthermore, I expect we will see this materialize on a mass scale in MUCH less than the almost 40 years it took for the "pro-sumer" society to emerge. At the Frontiers in Service conference, I had the honor of being on stage with Dr. Michel Wedel (University of Maryland) and Dr. Sajeev Varki (University of South Florida, USA), two eminent experts in the areas of recommender systems. In our session “Rating Recommendations: The Good, The Bad and The Ugly”, examples from the world of music predominated much of the discussion, since they provide so many tangible examples of what is already possible for mass personalization through feedback loops, metadata, and recommender systems, which address the tricky challenge of personalizing our listening experiences. Consider for a moment just how difficult and "fuzzy" this problem is to get some assistance with choosing "just the right" song at just the right time for just you and just your context at any given moment. Given my affinity for mass personalization and what my co-conspirator Erik Duval and I refer to as the Snowflake Effect, you can imagine why I was delighted to be there. In my presentation to this group (see slides below), I posed the question that if this observation of uniqueness has arguably always been the case and is SO obvious, then why do we live in a world that assumes the opposite? If we look around us, almost very product and service has been designed for some relatively large number of people, a "target audience, customer or demographic" and a whole set of assumptions about how everyone in this group is the same! But the times they are a changing! I went on to suggest that it is now possible to have such mass personalization, that there are more and more examples showing up every day, and therefore there are more and more people who know this is possible and are demanding it. Such "market demand" is usually met. The R&D work , which Dr. Wedel and so many of the international researchers in the room are doing in this area, promises to accelerate this trend much further, much faster. There's too much to cover in more detail in this posting (lucky you! ), but I will use some of these items as fodder for future postings. My thanks to Jim Spohrer, Ronald Rust, and the Center for Excellence in Service organization for this opportunity to learn about the many exciting R&D efforts underway and the chance to suggest some of the future work they might take on. Based on what I saw and heard at the conference, I'm more optimistic than ever that the dream of having the Snowflake Effect lead to mass personalization on a planetary scale is well on its way to becoming a reality! Music, Metadata and the "Onomies"
You are out for a walk one night and happen upon this poor fellow who is down on his hands and knees on the sidewalk frantically searching for his car keys. You stop to lend a hand. After you've searched for several minutes without finding them, you ask him to recall where he last had them and he says he thinks he dropped them as he was locking his car. To which you say, "So this is your car here?" and he says, " No, my car is down two blocks and around the corner." Puzzled, you ask, "Why are you looking here then?" and he says ..........................................." Oh, because this is where the light is better!" Sounds silly, but I wonder how easily and often we mimic this behavior of "looking where the light is better"? Seems to me that we often look in the wrong places for the wrong things, or don't shine a light in the right places. Specifically, I find that we often overlook some extremely valuable ideas, technologies, and solutions simply because they are not developed or applied for our specific domain or interests. 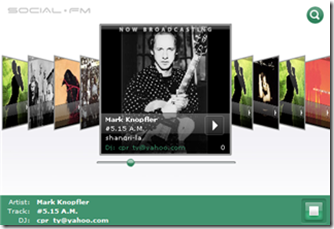 For example, the world of music is one of my favorite and richest sources of innovative examples of personalization. It absolutely reverberates with a plethora of great lessons. I'll try to cover more in future postings, but today I want to bring to your attention to a recent blog posting from my Belgian buddy Erik Duval called "From folksonomies to taxonomies". Erik and I are mutually fascinated by music in general and the lessons it has for us. Erik references a recent posting in Duke Listens! , a blog by Paul Lamere, which has some very good examples of using the automated metadata generated by Last.fm. Although I have some concerns with his specific example (which involves the use of music genres, such as blues, rock, heavy metal), he uses it to make some excellent points about how you can take the metadata (tags), usually referred to as "folksonomies" or "metadata for the masses", generated by something such as Last.fm and use these to generate taxonomies. Duke Listens! is also a fun site for several other topics that I find particularly interesting including some of the amazing things that the middle school kids that Duke coaches build with Lego blocks, and his writings on speech recognition, tagging and music. I'll cover some additional lessons from the world of music in subsequent postings. Meanwhile, check out these examples of automated generation of metadata and taxonomies. I think you will quickly imagine ways you can apply this technology to your domain. When you do, please share these ideas here so we can all benefit from your insights, and hopefully trigger even more. Boy, did I have fun doing my session called “Life is a Monstrous and Marvelous Mashup: Want to Join?” at the Learning 2006 conference last week in Orlando, FL. Better yet, the standing room only audience seemed to enjoy it even more! My primary point was that by seeing mashups as a powerful concept, we can further advance towards massive personalization of learning and performance. For me, mashups are just a fun new term for the Lego block models I’ve championed for the past 20 years. In essence, mashups are about taking small discrete individual bits and pieces and assembling them into a larger unique assembly that matches the context and needs of the individual. You can find most of my other points in the slides shown below or you can download the slides here. A mashup is a website or web application that seamlessly combines content from more than one source into an integrated experience. A mashup is a unique assembly of bits and pieces from more than one source into a single integrated whole. People: Finding the right ones via their competencies, preferences, etc. We also had a great discussion about how this plays well and is enabled further by the Long Tail phenomenon. Here are some additional resources about mashups. David Berlind “Mashup Camp captain” has does an At the Whiteboard session to sketch out his definition of “mashup” and explain his prediction that by 2007 there will be 10 new mashups per day. Also I will be circling back around to this topic of mashups in future articles, blogs, and podcasts. In the meantime, start thinking about how you can embrace and extend this powerful concept to your content, your events, and your life professionally and personally to enable more massive customization and personalization.